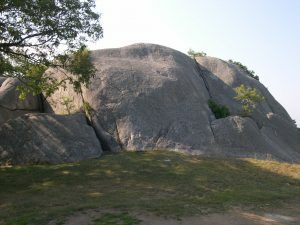 Tablet Rock in Stage Fort Park, Squam Rock, and Pole Hill in Riverview are the eroded remains of ancient plutons. 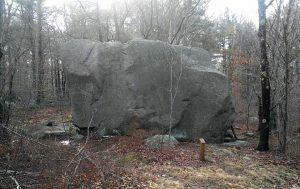 Peter’s Pulpit and Whale’s Jaw are examples of deposits of glacial erratics. Translating Wonasquam as having something to do with rocks is certainly tempting on Cape Ann! Other interpretations of Wonasquam are possible, however. For example, the Algonquian root word for Atlantic Salmon was m’squammaug, often shortened to m’isquam, or ‘isquam, because English speakers tended to omit the initial -m’- and did not produce glottal stops. An alternative origin for Annisquam thus could be Nam’isquam (salmon fishing), with the addition of won-, a prefix for “good” or “abundant”. Thus, Wonasquam, could have meant, literally, “good salmon fishing”. The Annisquam River empties into Ipswich Bay beside Wingaersheek Beach, and until around 500 years ago (and before the Cut), it is not impossible that Atlantic Salmon entered the river to spawn, along with alewives and shad. 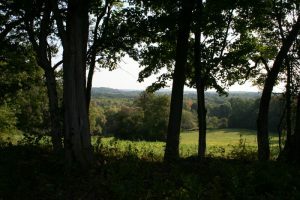 Trumbull cautions, however, that interpretations of Algonquian place names must observe certain rules. First, every letter or sound had its own value; the omission or addition of a letter for “euphony” (the quality of being pleasant or smooth sounding) is a sign of misinterpretation. So, where in Wonasquam is the /psk/ or /bsk/ sound required for “rock”? Second, even when abbreviated, words retain their significant roots rather than appearing as fractions of words. So, if /ompsk/ is the root word for “rock”, wouldn’t it have been retained in the name at least as Wonasquompsk (“good rock-top” or “good summit”)? Winnesquam is said to be Abenaki for “good salmon fishing”, and there is a lake by that name in New Hampshire today near Laconia in the Pawtucket-Pennacook homeland. However, this name probably is not based on the word for salmon but on combined elements for “fishing” and “fresh water”: nesquam. In Abenaki, win/winni- is not a variant of won/wonne and thus does not mean “good” or “beautiful”. Rather, win/winni- is a prefix for “hereabouts” or “in the vicinity of”. Thus, Winnesquam more likely means “there is fresh water (lake) fishing around here”. You can see the problems we have knowing for certain what words in unwritten extinct or near-extinct languages mean. All the above alternatives are moot, however, because the original term on which all our Squam place names are based was not Wonasquam. It was Wenesquawam.